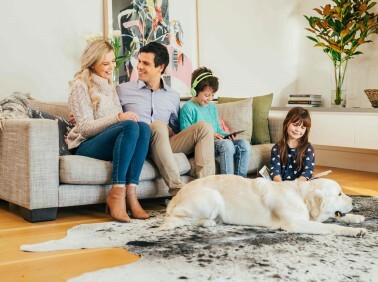 MyHome Moonee Ponds makes use of a highly complex dry-touch carpet and rug cleaning system that leaves your carpets dry enough to walk on in approximately one hour. Our cleaning solutions are combined with Healthguard to eliminate mould, fungi and bacteria from your carpets. Our cleaning method restores the natural brightness, colour, softness and balance to your carpets. MyHome Moonee Ponds dry touch leaves no wet carpet smells or harsh chemical odours after cleaning. You can expect to experience fresh smelling carpets after our service. In order to avoid any shrinking or stretching of your carpets, MyHome Moonee Ponds cleaners stay away from harsh chemicals,as well as use of excessive moisture and heat. A thorough vacuuming is done prior to each and every MyHome carpet dry touch cleaning service, to ensure the best results. There are many reasons why people in Moonee Ponds enjoy having carpets in their homes. Carpets add warmth and coziness to the home and they are also available in a variety of different fabrics, colours and designs. Because carpets help to keep your home insulated, they can help to reduce your energy bills. People who have children and pets usually enjoy having carpet because they keep the home safe and warm. However, along with the benefits and comfort of having carpet in your home, comes the responsibility of keeping it germ-free and clean. One way you can do this is by investing in professional carpet cleaners regularly. By making use of a professional carpet cleaning company such as MyHome Moonee Ponds you will help keep your carpets fresh, hygienic and healthy. It’s an excellent way to make sure that your carpets last longer. The MyHome Moonee Ponds revolutionary dry touch cleaning system ensures that your carpets last longer and also remain fresh and clean. The best part about using MyHome is that we do not make use of tons of water on your carpets. We clean your carpets using innovative technology which also leaves it dry in approximately one hour after cleaning. 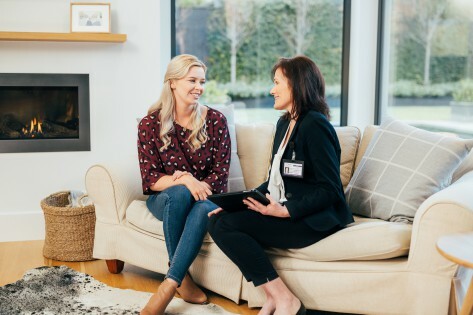 We are 100% confident that you will enjoy our MyHome Moonee Ponds cleaning service that we will give you a cleaning session completely free of charge in the unlikely event that you are not satisfied with our services. Carpets Clena, Dry And Ready To Walk On In One Hour – Guaranteed! Keeping your carpets clean may sound fairly easy, however, it often is a challenge to find competent carpet cleaning companies. By using MyHome Moonee Ponds carpet cleaning service, you’ll get the most out of your carpets. We steer clear of the hot water extraction system or harsh chemicals which ensures that there is no damage to your carpet fibres and fabric. This also ensures that your upholstery and other furniture is cleaned in a safe manner. So after cleaning there will be no damp residues left behind, just a clean and fresh smelling carpet. If you’re looking for carpet cleaners to hygienically clean your carpets without the disadvantages of traditional carpet steam cleaning, call us on 13 22 31 and schedule a free, no-obligation quote. Alternatively, you can send us an enquiry online, and we will get back to you shortly.